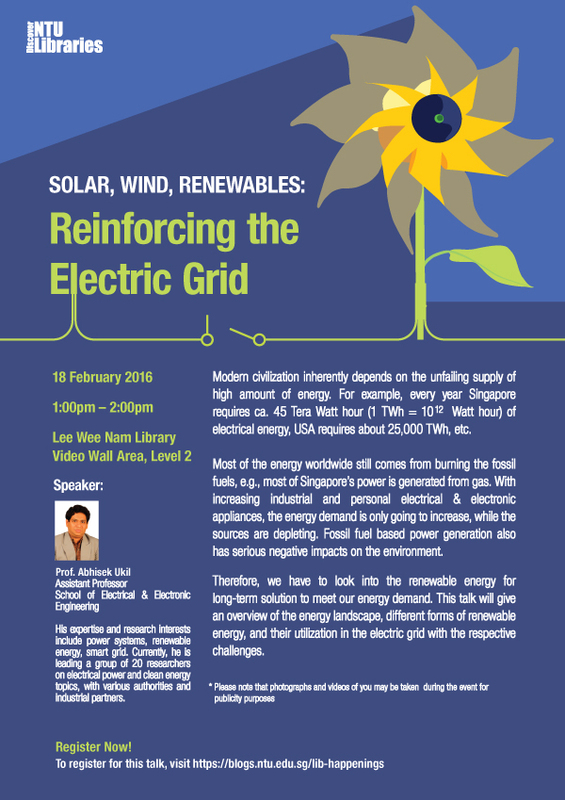 Join us in this talk by Asst Prof Abishek Ukil from School of EEE to get an overview of the energy landscape, different forms of renewable energy, and their utilization in the electric grid with the respective challenges. 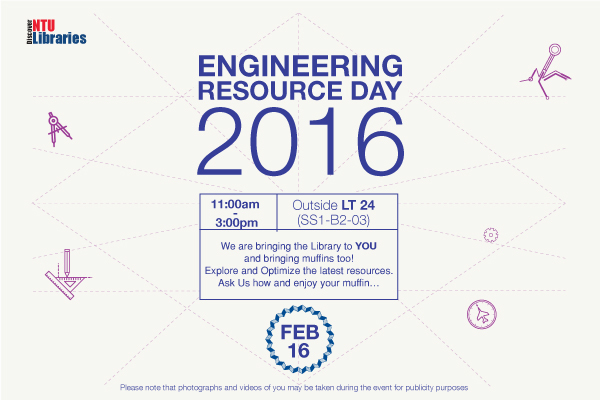 Come and meet us, to get to know more about our library resources and services that could be useful for your learning or research! Japan has been brought to the Communication and Information Library (CMIL). Come and take a look at the students’ work from the ISCM (International Strategic Communication Management) 2013, where the 4th year Advertising and Public Relation students jet off to explore beautiful Japan. On display are photographs and travel articles from their trip. Accompanying the exhibition is a range of books covering topics such as cultural communication, travel writing and Japan. You may request to borrow any of these books as well.